 Check out our SEO project portfolio and the ranks achieved by us on the first page of Google for some of the most competitive keywords in different industries. SAG IPL is a Jaipur, India based Digital Marketing company that provides professional internet marketing services like SEO, social media and more to all major industries and clients around the world. Take a look at our internet marketing portfolio to get an idea of the kind of projects we work on and the results we have achieved for many industry-leading businesses. Following are some of our SEO portfolio examples. If you have a question regarding any of our SEO portfolio samples, do reach us through our contact page. SAG IPL is a Jaipur, India based IT software development and service oriented company. The online website of the company is presently ranking on the first page in Google for some of the most-searched targeted keywords, thanks to the constant efforts of our SEO team. We followed a specific marketing strategy with focus on key services to overcome the competition and rank better. GSTHelplineIndia.com is a GST information portal, backed by a dedicated mobile app, designed with the purpose to inform citizens and businesses in India about the various aspects of Goods and Services Tax (GST) and provide related news and help. Thanks to the hard work and dedication of our SEO team, the GSTHelplineIndia website, which was launched only a year ago, is now ranking at the top of Google for all its target keywords. This is the official blog of SAG IPL, through which the company provides useful updates, news and information about the technology world as well as helpful tips related to the development and marketing industry. We have a dedicated SEO team engaged in optimizing and marketing the content of the blog, thanks to which we have managed to achieve awesome results in terms of Google rankings for the target keywords. Based in U.S., Real Legal Marketing is a marketing firm which provides result-oriented marketing, web design and other related services to legal businesses and lawyers around the world. We have been working in partnership with the company to promote their legal marketing services online and bring convertible leads to their website, which we have successfully done by achieving great ranks in Search Results. This is a UAE based website that offers information, guidance, news and tips about the value-added tax in the country. Ever since the launch of the website, our internet marketers have been working dedicatedly to promote it to the target users in the industry. As a result, we have managed to achieve the top rankings in Google for some of its most searched keywords. SAG is a Jaipur based IT company that mainly trades in accounting and IT software development. They have recently launched a new GST software called GEN GST to tackle the needs of taxable businesses in India. We were given the task of promoting the most competitive GST keywords for this website and we have successfully achieved high Google rankings for many of them. This is a private law firm based in the USA. The company provides legal compensation services to the workers in the area. We are managing the SEO, Social Media and Online Marketing campaigns for the company. Within first two months, we managed to increase the website traffic through various on-page and off page techniques. Check out their latest Search Engine ranking below. They are ENT specialists based in Florida, USA. The services provided by them include the checkup and treatment of ear, nose and throat infections, allergy, sinus, snoring, etc. At the time when we received the project, the website was not ranking well in Search Engines. As you can see below, it now ranks on the first page of Google for its top keywords and key phrases. It is a Florida, USA based personal injury law firm website, where dedicated lawyers and advocates are available to assist personal injury victims in the region. We are promoting the services to the locals through various online marketing techniques such as SEO, Social media, internet marketing, content and more. Thanks to our efforts, the website now ranks on the first page of Google. A West Palm Beach, USA based personal injury law firm, Fetterman & Associates are one of our top clients, in terms of success and revenue. As listed below, the website currently ranks at good positions for all its main keywords. Our proficient digital marketing executives are continuously working to further improve the website traffic and ROI through white-hat SEO techniques. It is a Miami, Florida based law firm that offers family law legal services including Divorce, Alimony, Child Custody and others. They are doing a great work in the area. We at SAG IPL are committed to bringing their website at the top of search results to expand their reach to more people, and we have achieved a great success in the form of better Search Engine rankings. This is a special project for us because here we are trying to rank a website that provides timber exporting services around the world. CameroonTimberExport is one of the FSC certified online timber exporter company offers African timber, lumber, and logs around the world. We generated 75 leads for the client within 3 Months. He is still working with us. What Our Clients Are Saying About SEO Services? We recently launched our first business website and had no idea how to promote it online. SAG IPL took over the task for our benefit. Their online marketing team not only handles our website promotion tasks effectively but also they have taught us many useful things about SEO and social media. It is a perfect SEO company for any industry. I was recommended SAG by a professional friend who is using their services for some time now. It only took me one month to figure out their proficiency and expertise in the field of digital marketing, and it is truly amazing. I am an IT professional myself but do not know much about SEO. One thing I know for sure is that they are doing a great job with my website. The only thing I want to say about SAG IPL is that their SEO team is just wonderful, way better than any other marketing company out there. I know because I have tried some and most of them are bogus. I love these guys because they are doing better than what I was promised. My website is ranking well for almost every keyword I can imagine.